U.S. Reveals Details Of Alleged 'Sonic' Attacks On Diplomats In Cuba : The Two-Way The U.S. State Department is investigating what is behind a series of mysterious attacks that have caused life-threatening health ailments for American citizens. The alleged attacks were first reported in December 2016 when staffers at the U.S. Embassy in Havana and at least one Canadian began to notice symptoms. At least 19 American diplomats in Havana have been diagnosed with wide-ranging symptoms, including hearing loss, severe headaches, loss of balance and other forms of cognitive impairment. U.S investigators have been searching for a device that may have caused the "sonic harassment," but an ongoing investigation hasn't revealed the culprit. The alleged attacks were first reported in December 2016 when U.S. Embassy staff and at least one Canadian began to notice symptoms. After assessing that incident, it was thought that the problem was over by this past spring, but a new incident came to light in August. "We can confirm another incident which occurred last month and is now part of the investigation. Based on continued assessments of personnel, there are now 19 confirmed U.S. government personnel who have been affected," said State Department spokeswoman Heather Nauert in a statement. The disclosures came the same day the union representing American diplomats said mild traumatic brain injury was among the diagnoses given to those victimized by such attacks. Representatives of the American Foreign Service Association met this week in Washington, D.C., with foreign service officers stationed in Havana. "AFSA strongly encourages the Department of State and the U.S. Government to do everything possible to provide appropriate care for those affected, and to work to ensure that these incidents cease and are not repeated," the group said in a statement. Medical experts told ABC News that some U.S. officials were exposed to a sonic device in Havana that caused serious health problems and physical symptoms. Sound waves above and below the range of human hearing can cause permanent damage. 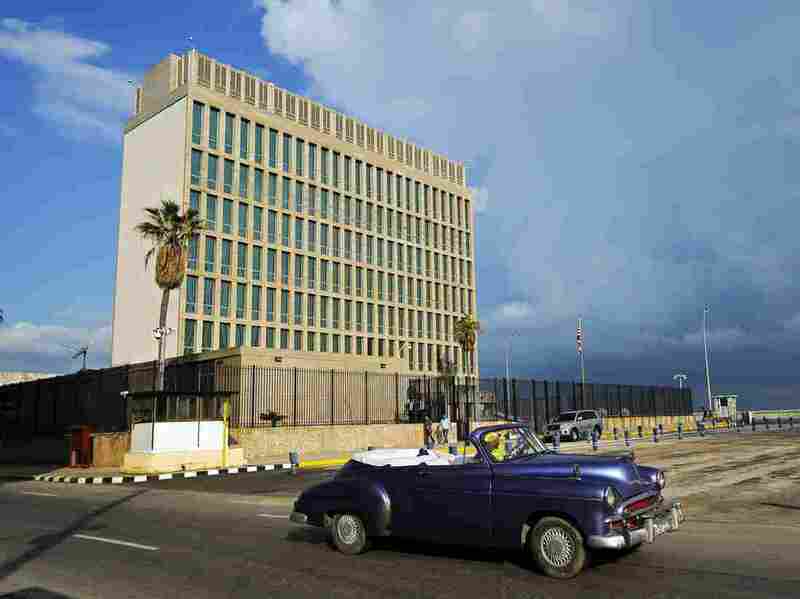 Other media reports suggest the injuries may have been caused by sonic equipment that Cuban intelligence officers installed in the U.S. Embassy or in the homes of U.S. diplomats. According to the Mayo Clinic, mild traumatic brain injury can cause temporary dysfunction of brain cells. More serious traumatic brain injury can result in bruising, torn tissues, bleeding and other physical damage to the brain that can result in long-term complications or death. Symptoms can be immediate or appear days or weeks later and range from loss of consciousness or confusion to sensory problems, memory loss or headache and nausea. In May, the State Department expelled two Cuban officials who were working in Washington, D.C. The department said the move was not out of retaliation, but rather was to punish Cuba for failing to keep American citizens safe — something that it's required to do in accordance with an international treaty known as the Vienna Convention. Diplomatic ties between the U.S. and Cuba were only restored in 2015 under the Obama administration. However, relations weakened after President Trump tightened travel restrictions and trade embargoes.